Richard Brown has 40 years of experience in public accounting and taxation. He has worked extensively in the field of not-for-profit accounting, providing accounting, tax and administrative services for a $75 million 501(c)(3) International Education exchange organization. Richard also services professional services clients, including legal and medical clients, as well as other small businesses. Richard received his Bachelors of Science with a major in accounting from New York University School of Commerce in 1969. After graduation, he worked for two years with Ernst & Ernst in White Plains, New York. 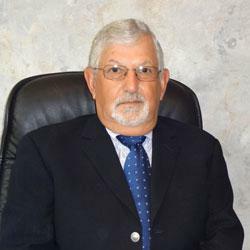 He started his own practice in 1977 and joined Shalik, Morris & Company, LLP as an independent consultant in 1998.